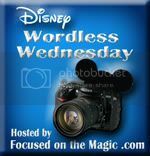 The theme for this week’s Wordless Wednesday is water. From water parks and water rides to dancing fountains and boat rides, I’ve experienced lots of water at Walt Disney World. But there is one Disney water experience I have yet to try – a Disney cruise. I’ve heard so many great things about Disney cruises, and I can’t wait to go on one. My parents went on their first cruise a couple years ago. They set sail on the Disney Dream to celebrate their 30th anniversary. When they returned home, they had plenty of stories about all the fun they had – including riding the Aqua Duck and snorkeling at Castaway Cay. Have you experienced a Disney Cruise? Let us know your favorite part of cruising with the Mouse! Great picture of the Dream! I would love to go on a cruise but I get motion sickness and I’m afraid of heights lol. Those upper decks look VERY high up!! Yes, they do look very high up! I haven’t been on a cruise yet, so I can’t say anything about the motion, but my parents said you don’t really notice the ship moving all that much (but neither of them have problems with motion sickness). Thanks! How many cruises have you been on? I haven’t been on a cruise, but my husband really wants to go. I agree with Kristie: I’m nervous about motion sickness. It looks like a great time though! I haven’t been either. Can’t wait to go on one! We went on the Dream last year for our first cruise. Have the best time ever!!! A piece of advises that was giving to me was: 1) buy the seaband bracelet and start wearing before the ship start to move. (I was very afraid of motion sickness too) it worked GREAT. Didn’t fell a thing. You can buy it at target, online drug stores and such. 2) book your cabin and middle of the middle. This way you have less chance to fell anything. That’s what we did!! We enjoy so much and are going back this August. Good tips! I’ll have to remember those when I go on a cruise! Love cruising! I cannot wait for our next! My son is prone to seasickness on our boat and he didn’t feel anything on the cruises. They are very stable in the water! That’s good to know! I don’t get seasick, but I’ve never been on a big ship. My parents said the same thing about the ship being pretty stable in the water. I can’t wait to go on a cruise!